UPDATE (Oct 18, 2018): JEE Main 2019 Jan Exam allotted Test Cities are announced. Read more here. 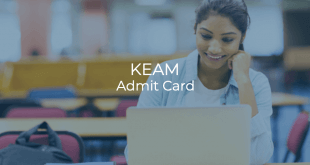 National Test Agency (NTA) has made available the facility to correct one’s particulars in the Application Form for JEE Main 2019 Jan exam. Candidates who have registered for the examination can now remove discrepancies (edit or make corrections) in their application form particulars. 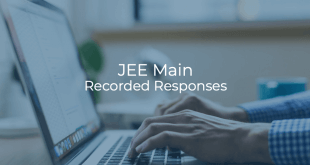 All the registered candidates for JEE Main 2019 Jan exam are advised to verify their particulars and make correction in their particulars (if any). 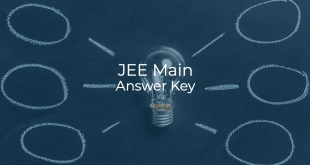 Candidates have to login on JEE Main website to make corrections. Check detailed steps here. Note: The change of city of examination is not allowed. Also the photograph uploaded by the candidates without Name and Date are accepted. It is one-time facility and is extended to the candidates to avoid any hardship to them. Therefore, the candidates are informed to do the correction very carefully because no further chance of correction will be given to the candidates for whatsoever reason. The facility is available from October 8, 2018 (10AM) to October 14, 2018 (11.50PM). The candidates are requested to pay the additional fee if that becomes due while making the correction. The additional fee (if applicable) should be paid by the candidates through Credit/Debit card/Net banking and UPI only. Visit jeemain.nic.in & click on “Login for Correction in Application Form” OR directly open this link. Enter the security pin as displayed on screen.